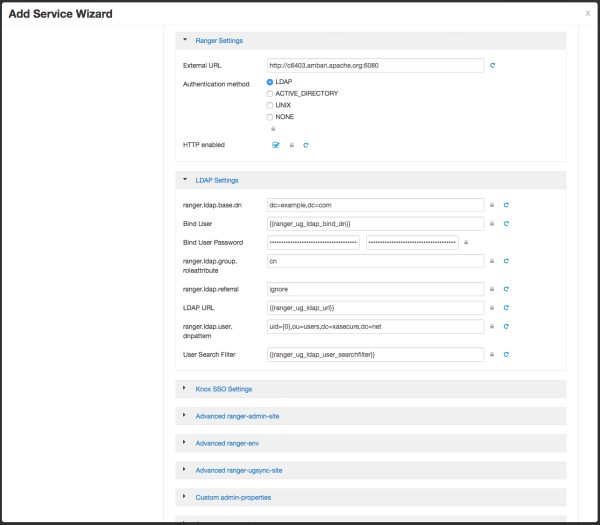 How to configure Ranger to use LDAP for user authentication. Under Authentication method, select LDAP. When this property is set to throw, all of the normal entries are returned in the enumeration first, before the ReferralException is thrown. By contrast, a "referral" error response is processed immediately when this property is set to follow or throw.